In an Area of Outstanding National Beauty, the local community and eco-activists are united in their campaign against exploratory tight/shale oil drilling. In an Area of Outstanding National Beauty, community groups and activists are campaigning against exploratory tight/shale oil drilling. Europa Oil & Gas and partners including UK Oil & Gas have been seeking permission to drill since 2008, and after several appeals and a change in planning regulations they have now been granted consents for the Holmwood-1 exploration well at the Bury Hill Wood site drilling under Leith HIll and the village of Coldharbour. This would set a precedent in the Weald basin, which crosses the counties of Sussex and Surrey, where there is the potential for many wells to be built over 1200 square miles of deposits depending on the results of exploration. Drilling would involve the felling and clearing of approximately one hectare of natural forest woodland, and the construction of a tall drilling rig that will be visible for many miles around. At present the approval of the Traffic Management Plan is needed before drilling can start, which is controversial as access of Heavy Goods Vehicles to the site is via historic sunken lanes which are narrow and steep with protected trees on their banks. Thus there are objections to the drilling based on the loss of woodlands which should be protected, the impacts on the water supply, the loss of ancient sunken lanes and road safety, air pollution from gas flaring, the overruling of local democracy, the industrialisation of the countryside, and climate change . 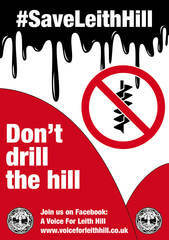 The message from anti-drilling campaigners or ‘protectors’ is “Don’t Drill the Hill”. 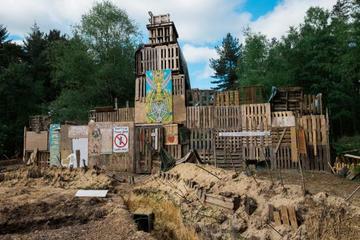 Since October 2016 activists of Leith Hill Protection Camp  have been blockading the drilling site, initially with a non-violent land occupation camp including tree-houses, a fortress and tunnel systems. Since the occupation was evicted in June 2017, the camp has relocated across the road and its residents continue to monitor activities at the site, raise awareness of the situation, and present an obstacle to vehicles accessing the site using tactics such a lock-ons and lorry surfing. The camp is sustained by the support of the local community, who have several groups organising against the drilling including Leith Hill Action Group , A Voice for Leith Hill  and Save Leith Hill . The groups raise awareness of the drilling and mobilising thousands of individuals to participate in democratic processes such as commenting on applications, the sending of emails and letters of objection, petitions, and community picnics. Other objecting organisations include Capel Parish Council , Wotton Parish Council, Mole Valley District Council, National Trust , Surrey Hills Society , Campaign to Protect Rural England. Other objecting organisations include Capel Parish Council , Wotton Parish Council, Mole Valley District Council, National Trust , Surrey Hills Society , Campaign to Protect Rural England. 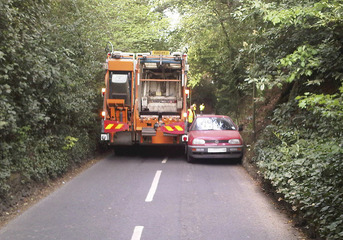 Development of Alternatives All groups involved agree on a simple reccomandation and claim: "Don't drill Leith Hill".